Often one of the biggest learning curves when you first go gluten-free is trying to navigate all the condiments and sauces in the supermarket isles. Most of the store-bought condiments are a landmine of wheat additives. So it’s very important to learn to read the ingredient list of packaged foods. The best option is to make your own condiments and sauces from real, whole food ingredients, that way you know exactly what they contain. I’ve put together some of my favourite easy-to-make condiment recipes so you can make them in the comfort of your own home. Tomato sauce is a staple in many households, and I know of so many people who feel completely lost without it. 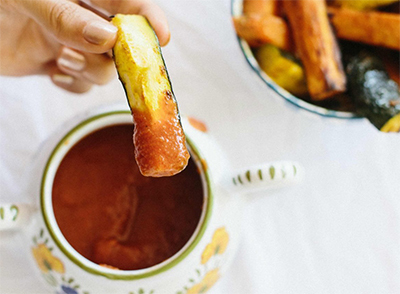 Did you know that the typical store-bought versions of tomato sauce (or ketchup) can often contain LOADS of sugar, vegetable oil, preservatives and food acids. The good news is that making your own healthy version is incredibly easy. You can also add in different types of herbs for additional flavour and health benefits; such as oregano, thyme, rosemary or basil – this will give it a beautiful Italian twist. Click HERE or HERE for two easy and delicious recipes. Another Australian favourite is the classic BBQ sauce. Some people are either a BBQ sauce fan or a tomato sauce fan. Either way we’ve got you covered. 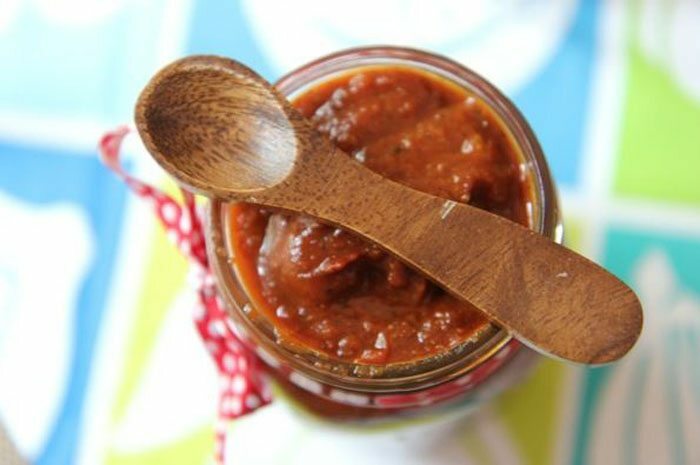 Click HERE for a yummy BBQ sauce recipe. Did you know that making you own mayonnaise is incredibly simple, as you can whip up a batch in less than 5 minutes. Simply add the egg and mustard into the food processor. While the machine is running, slowly (very slowly) drizzle in the oil until it is fully incorporated and creamy. Pour either apple cider vinegar or lemon juice and continue whizzing the mixture until everything is blended together. Add salt and pepper to taste. If the mayonnaise is too thick for your liking then add a few drops of water to thin it out a little. If you accidentally ruin your mayonnaise, don’t throw it out! If you add in the oil too quickly, the mayonnaise will separate. If this happens, simply take the failed mayonnaise out of the food processor and start over. Put 2 more eggs yolks into the food processor and blend them. Then very slowly add in the separated mayonnaise mix. That should do the trick and fix. 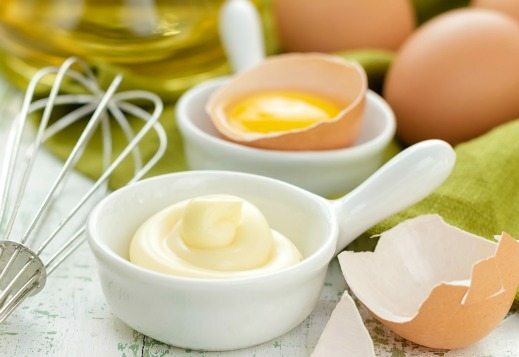 Click HERE for our favourite 4-ingredient mayonnaise recipe. Packet gravy is a minefield for wheat derivatives. They can often contain chemical ingredients such as maltodextrin, flavour enhancers, sugar, vegetable fat, soy lecithin, glucose, anti-caking agents and so much more. 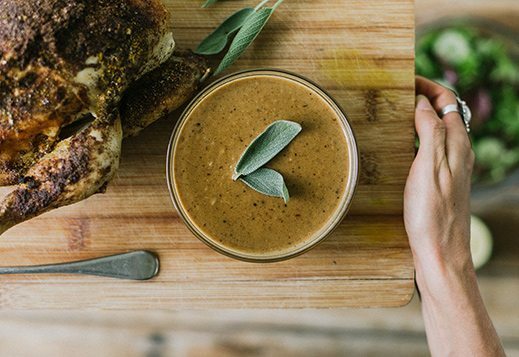 Making nourishing, flavourful, gluten free gravy is simple to do. Here is our fail proof chicken and onion gravy that is a winner with everyone who has tried it so far. Click HERE for the recipe. 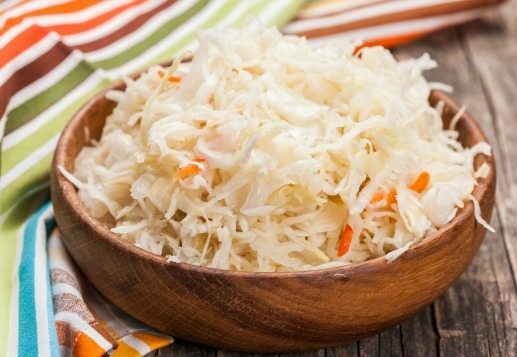 Sauerkraut is often one of the first fermented foods that I recommend to people who are interested in improving their own gut health. There is good reason for this, It’s simple to make, doesn’t require any special equipment, and the results are delicious and nutritious. Click HERE for one of my favourite sauerkraut recipe. It’s a great idea to begin adding in fermented foods into your daily diet to begin repairing your gut health. You can read more about why it’s so important to start working on your gut health HERE. There are a number of ‘gluten free’ foods, condiments and sauces being manufactured at the moment to replicate the original gluten filled foods. However these products are normally filled with chemical additives, colours and preservatives that do more harm than good. So always read the ingredients list. As a general rule of thumb, when you look at an ingredients list, avoid all packaged foods, sauces and condiments that contain anything you cannot pronounce or that doesn’t sound like a food. Typical ingredients to avoid include maltodextrin, glucose, gums, preservatives, flavours, colours, preservatives and other dubious chemical ingredients. 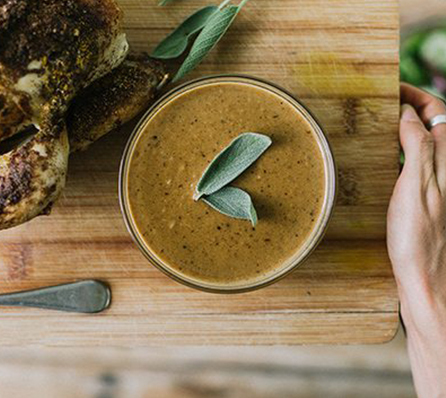 Rather than relying on ‘modern gluten free foods’, create your own gluten free condiments and sauces from scratch using real, individual ingredients. You can begin by trying out some of the recipes we have provided above. If you’re looking for more ideas of what to stock in your gluten free pantry, read more here. Enjoy making the recipes and choosing to cook with whole food healthy ingredients, rather than processed ‘gluten free’ food. Your health is worth it.